Bredenoord’s power management is the solution for all types of users who experience a slow or phased difference in the demand for power. With power management, you have a reliable power supply where one or more generators can be switched on or off automatically in direct response to the demand for power at that moment, maximising efficiency and reducing fuel consumption. Switching the generators smartly enables the engines to operate within their optimum working range. This increases the efficiency of the total set-up of your temporary power supply. 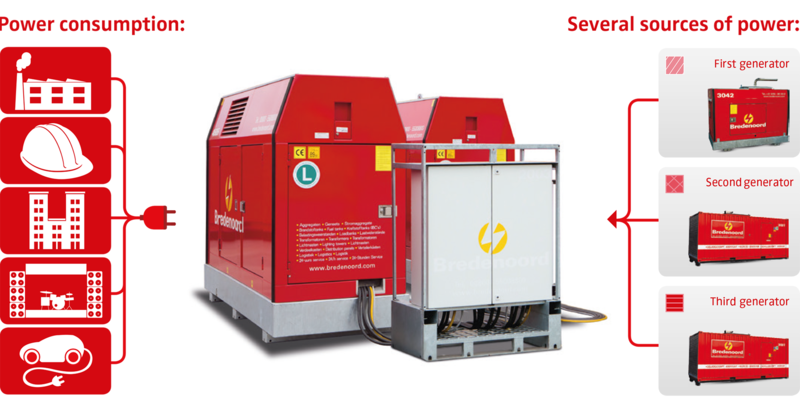 Bredenoord provides exactly the right type and number of generators with settings for a reliable and efficient power management set-up for every situation. The system can be monitored remotely by our experts and is available from 35 kVA with the possibility of expansion to several dozen MVA. A diesel engine has the highest level of efficiency and therefore the lowest relative fuel consumption at a load of approximately 80%. 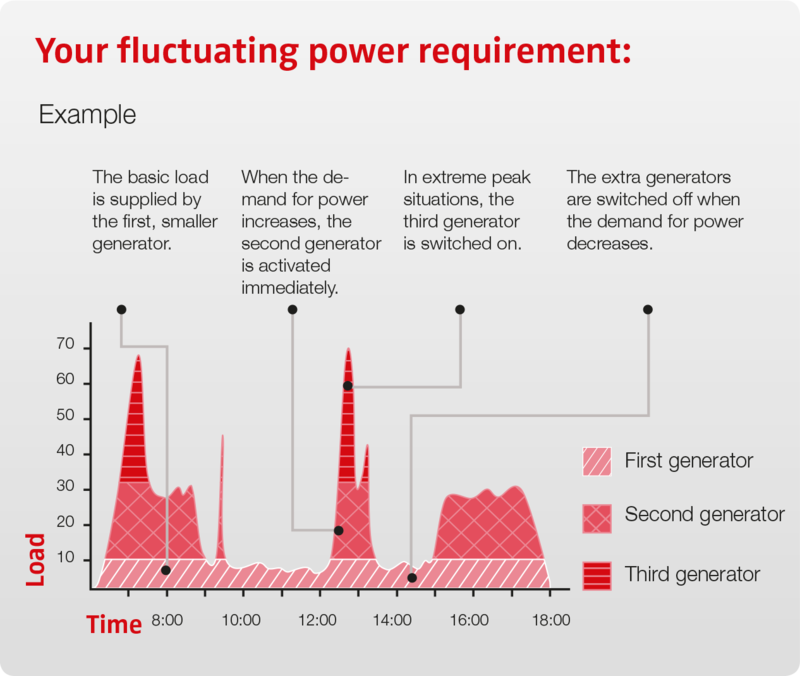 If the demand for power exceeds 80%, the next generator starts up. The intelligent control provided by Bredenoord’s Power management automatically searches for the most efficient distribution per generator. This ultimately results in fuel savings which can amount to several dozen per cent. please contact our Rental department in Apeldoorn, the Netherlands.